"[SOLVED] Position video at the top of the screen "
But this is not what I wanted. Most of hardware does not have the function of position adjust adhere to top. Maybe most of English culture user do not need sub , but for Foreigners , sub are the most important function. Why I mention sub while taliking about video position ? The relation is, most of us are seeing 21:9 contents on 16:9 screen. When video is centered , subs are overlayed on video. What I want is Video adhere to top , sub adhere to bottom IN KODI SOFTWARE SETTING. Quote: But this is not what I wanted. 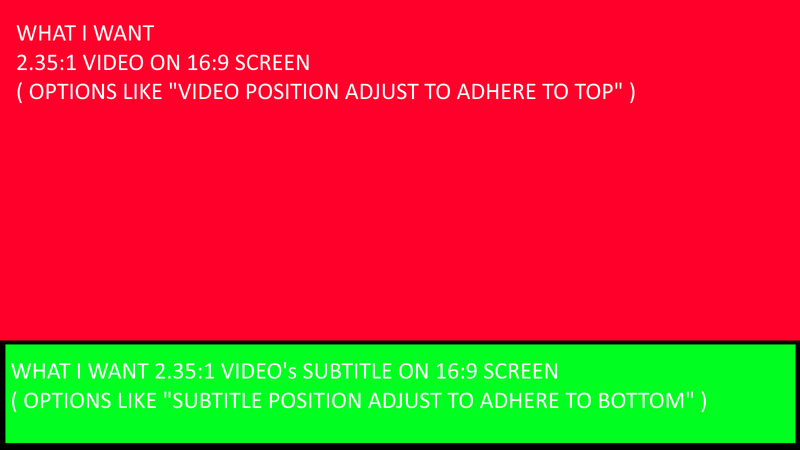 Still sounds to me it is exactly you what you want: aligning the video area to the top of the screen, and setting the subtitles to the bottom of the screen (below the video). Quote: Most of hardware does not have the function of position adjust adhere to top. If your video card (which hardware do you have?!) does not support Vertical Shift, there is not much else to do. BTW, Vertical Shift is something done via software, but only as long as the hardware supports it. 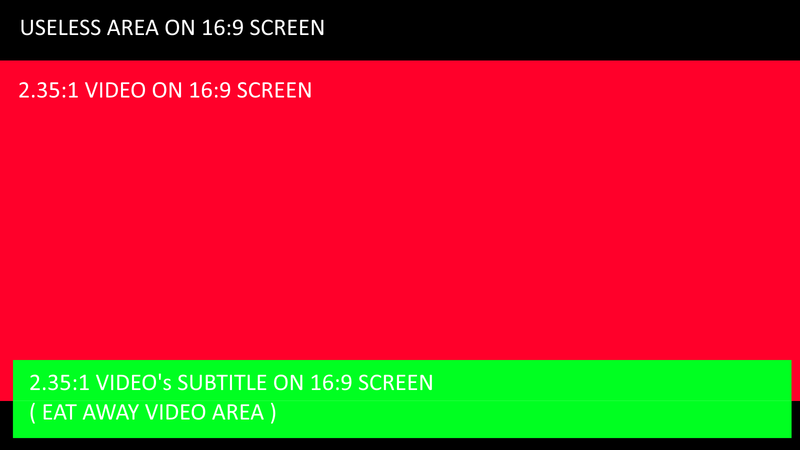 There is no other way to move the video area around on the screen, either in steps or as single firm positions. none of them has hardware position adjust function. I don't know about the GTX8800, but all more recent GT(X) Nvidia cards work with the Vertical Shift option, in Windows and Ubuntu Linux. I understand by the image where the " -1 " value to apply. 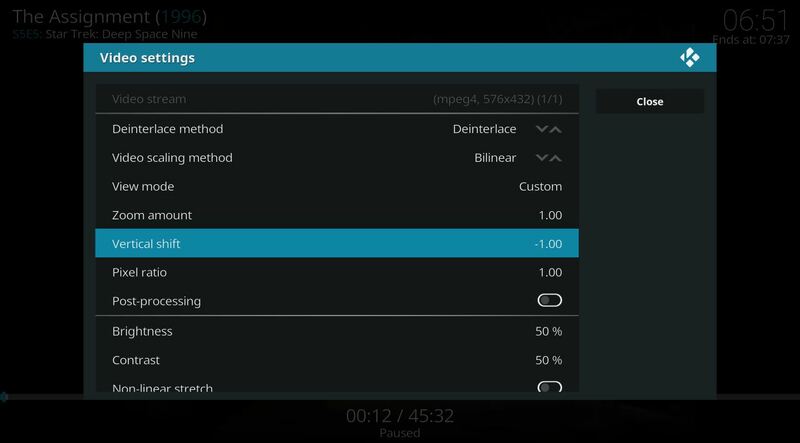 The option is not in settings-video-.. ... of kodi main screen but in "THE OPTION-VIDEO -.... WHICH IS ONLY VISIBIE GEAR ICON WHILE YOU ARE PLAYING MOVIE " , right bottom of playing movie screen.